Fantasty fans, rejoice! Seven years after writer and editor Robert Silverberg made publishing history with Legends, the acclaimed anthology of original short novels by some of the greatest writers in fantasy finction, the long-awaited second volume is here. 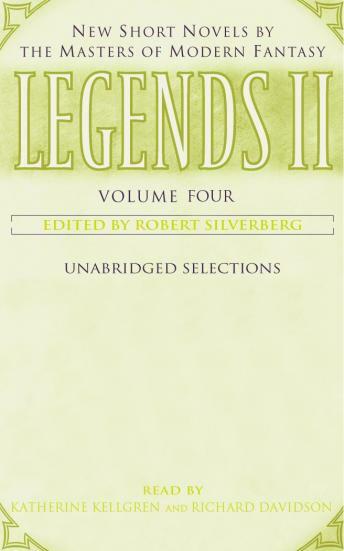 Each of the bestselling writers represented in these selections from Legend II returns to the fantasy universe he or she made famous throughout the world. Whether set before or after events already recounted elsewhere, whether featuring beloved characters or compelling new creations, these masterful short novels are both mesmerizing standalones – perfect introductions to the work of their authors – and indispensable additions to the epics on which they are based.